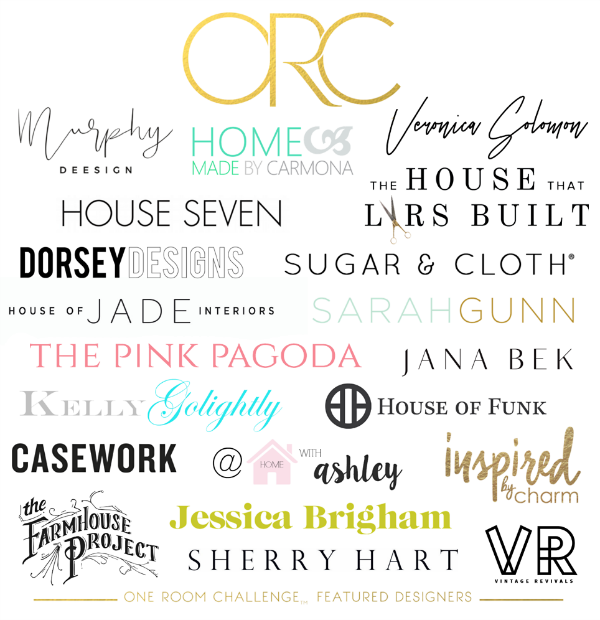 I’m so excited to be included in my ninth season of One Room Challenge! I’ve participated both as an invited participant and as a linking guest, and each avenue is an exciting opportunity to get your space looking awesome at top speed - with a wonderful design community supporting you along the way! If your joining-in this season, I wish you all the best in your sprint towards your space’s transformation! 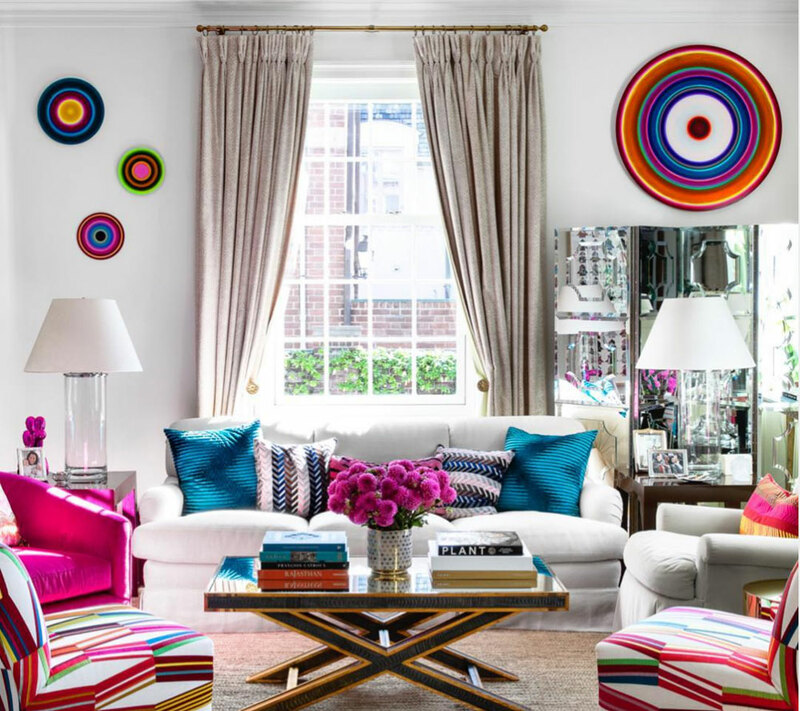 When I design any space, it always begins with the textiles and artwork, each both ground a room and bring it to life. 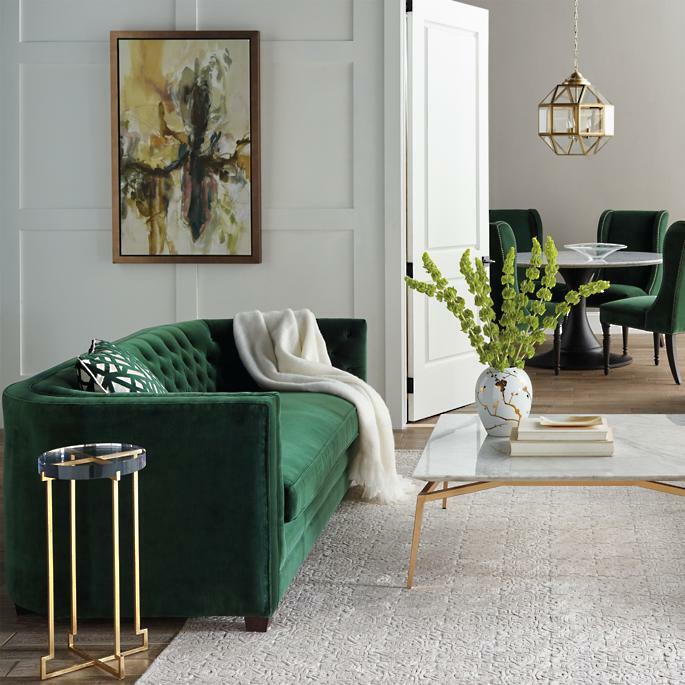 These choices would ordinarily be part of my initial planning, but as I mentioned last week, knowing we needed beautiful foundation furniture ASAP, I modified my process. 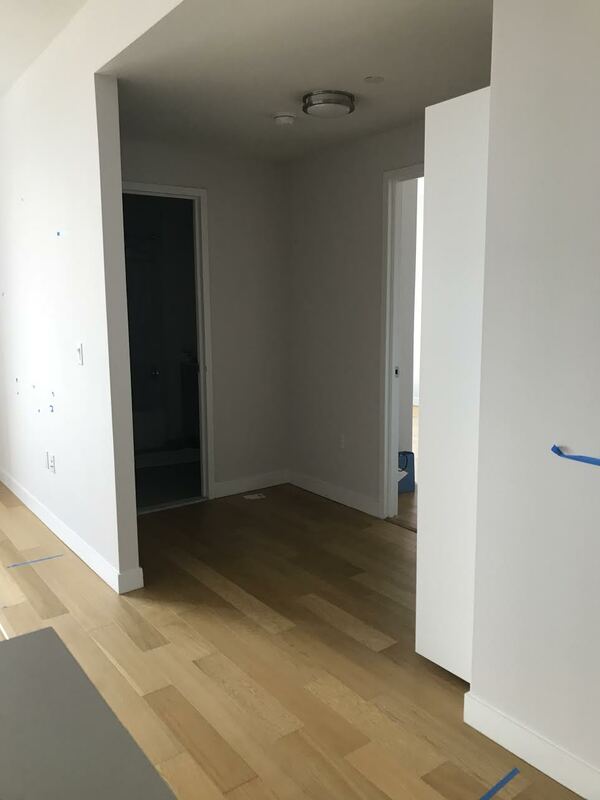 Since it’s a bit to take in, I’m walking you through my choices for our living/dining room area this week, and our bedroom next week. 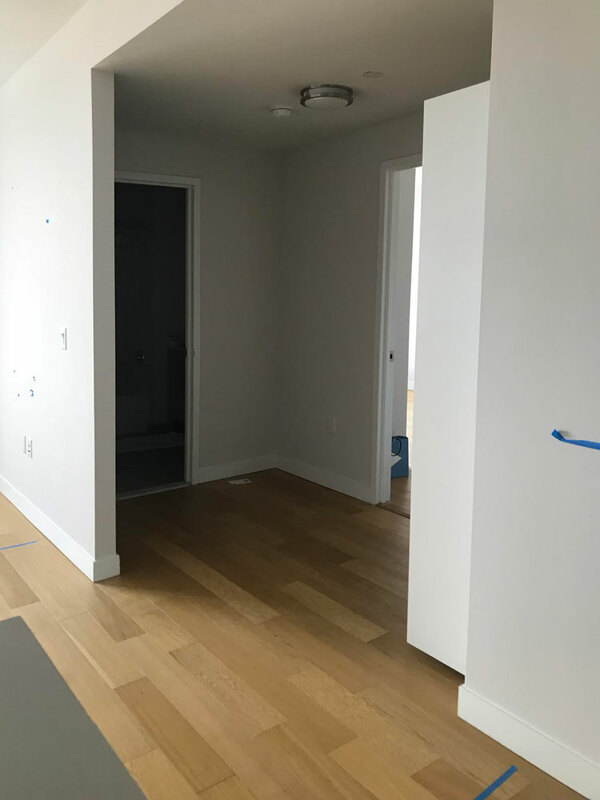 I was having the hardest time wrapping my mind around our living/dining room design, because I couldn’t land on the right artwork for the space. I was trying to make pieces we already had work, but everything felt forced. That all changed on my trip to High Point market. I’m such a fan of Natural Curiosities, and they just launched a subsidiary company, Arte Maison. It’s equally beautiful, more affordable, art greatness. Perfect timing for me, because I fell in love with their Mod Circles series, I immediately ordered 6 pieces, and begged them to make the timing work! With that, everything else fell into order. I wanted to go funky and bold, and the textiles were so much fun to find. I’ve long been obsessed with the Clarence House Tibet print, if I would’ve known they made it in a hot pink colorway, I would have ordered it years ago! The fabric is on its way & fingers crossed I can find a Brooklyn upholsterer whose keen to make me throw pillows in one week! 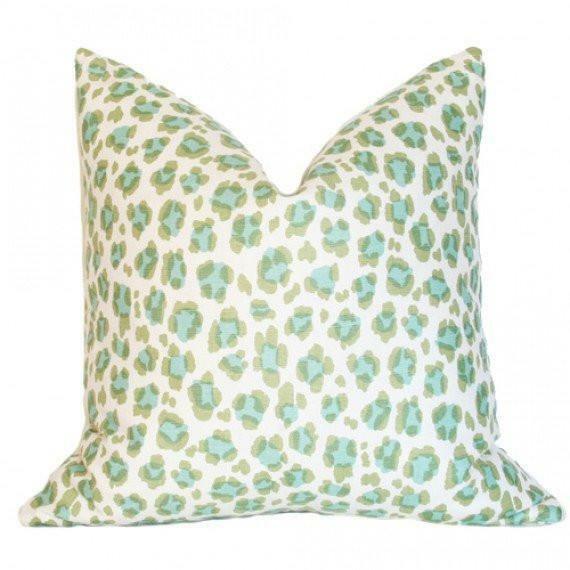 Arianna Belle makes the most beautiful pillows and I’m using two of her olive velvets to bring harmony to the design, and a mini conga line pillow for more fun! Our brushstroke fabric makes me happy, and with the artwork establishing the palette, I finally knew what I wanted to create with our hip ORC sponsor, Scout Design Studio. Their poufs, in our blush brushstroke fabric, will make a perfect pairing for the dining room area. Scout is a literal treasure trove of furniture and decor. 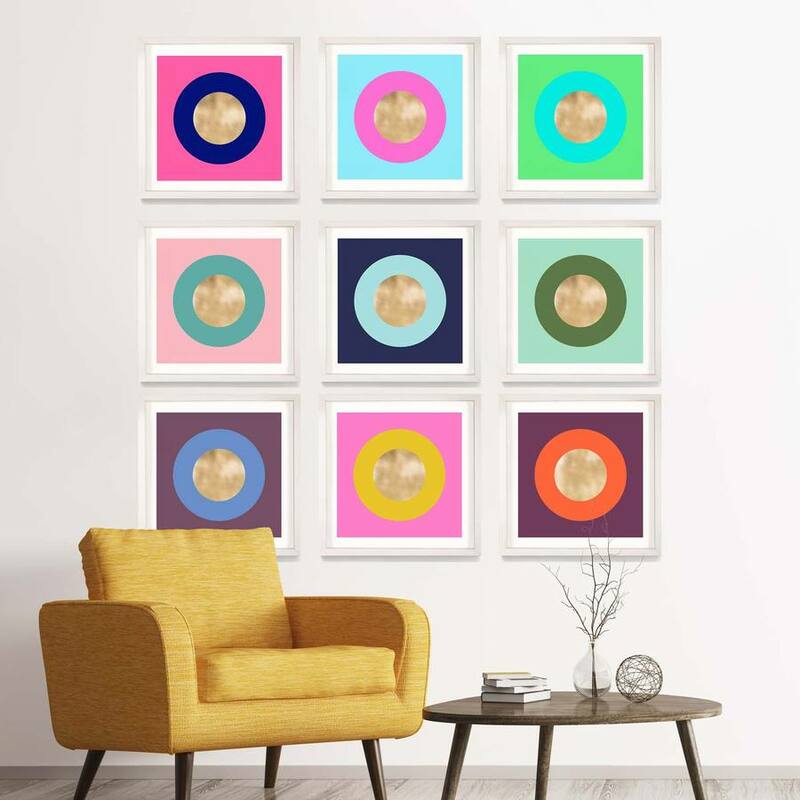 Their selection changes daily, and it’s an awesome blend of their custom creations, vintage scores, and cleverly curated decor and artwork. 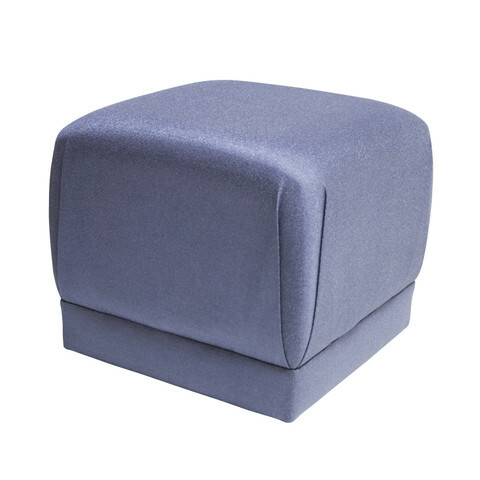 I cannot wait to have their custom poufs in our place! That’s it for this week! Next week I’ll be discussing textiles & art for our bedroom design. This week we’re talking about the awkward challenges our apartment’s layout pose & and ways in which I’ve decided to tackle them. This combined culprit is a doozy, it’s so off-balanced! The windows are not symmetrically placed with respect to the walls, and the shortness of walls tend to “call out” the asymmetry. On top of that, the windows include an H/C unit that stand from the floor to the lower windowsill. · I’ll bring balance to the asymmetry by adding weight to the larger corner with a properly sized plant that pops instead of blends. · For the window itself, I’m so very lucky to have Barn & Willow as an ORC sponsor! Their roman shades won’t overwhelm the window, but instead will draw you into the scene. Simple, sophisticated, and great fabrics and function. As a bonus, this will hide the standard apartment roller-shades without losing their functionality in case I want to block additional early morning light. · The top of the H/C unit is large enough for what I plan to be elegant, but unassuming styling details. 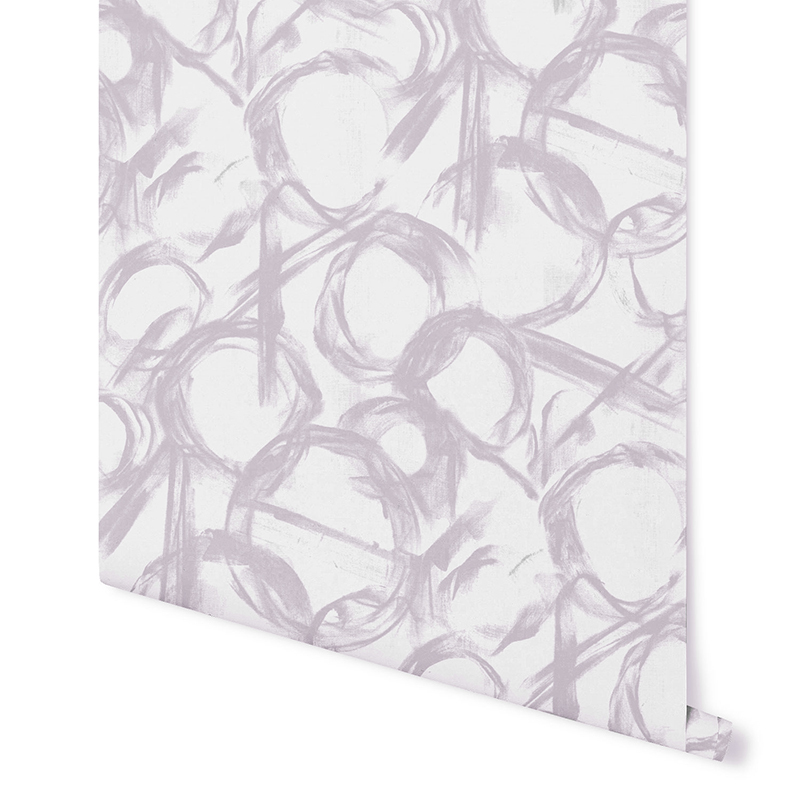 This, I think, will make something that looks accidental into something that looks purposeful. This complex corner must be hiding duct work behind the walls, but regardless of the reason, it’s simply unattractive! What immediately came to mind was a large folding screen. I’ve wanted one ever since I was a girl, and now I have the perfect reason. It’s exactly what I need to hide the funky architecture and at the same time frame in (and create) a small dining area between the living room and kitchen. 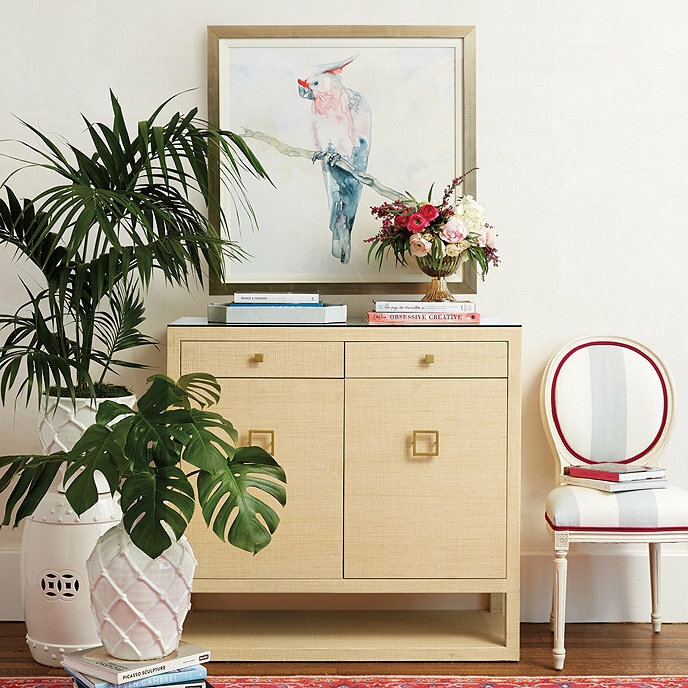 Small-space living means always layering in an opportunity for storage! Luckily, our walkway from the entrance/kitchen to the living area is just wide enough for a cabinet – I’ve got my eye on Ballard Designs eye-catching Adele Cabinet. I’m a sucker for grass-cloth when it’s done right, and Ballard is doing it very right. Just in the middle of confirming that the timing will work out! The bedroom itself doesn’t pose many challenges, and by city apartment standards, our closet is big; but there’s no foldable storage. The room is too tight for a dresser across from the bed, but I found a solution in the small hallway just before our bedroom door. I think the dimensions work just work out for a sleek tall chest from A.R.T. Furniture that offers lots of storage in a small footprint. Perfect pick for the perfect solution! Next week I’ll be sharing my firmed-up furniture designs and running you through my textile and art choices, some very exciting design decisions will have been made! For this seasons ORC I’m designing our new Brooklyn apartment, we literally moved in our first piece of furniture on Saturday! We cannot get enough of NY and are excited to be back. I started my career here and it feels like I’m returning home! Between the move and daily onslaught of design inspiration on Instagram, I’m still working through some basic design decisions. I’ve settled on the main furniture and have brought in a few of my favorite things from Michigan. My M.O. is to build off a foundation of beautiful, classic pieces; and start layering on patterns and colors through exciting decor & accents. In this way, as my tastes, moods, and needs change; the space can be easily changed as well. 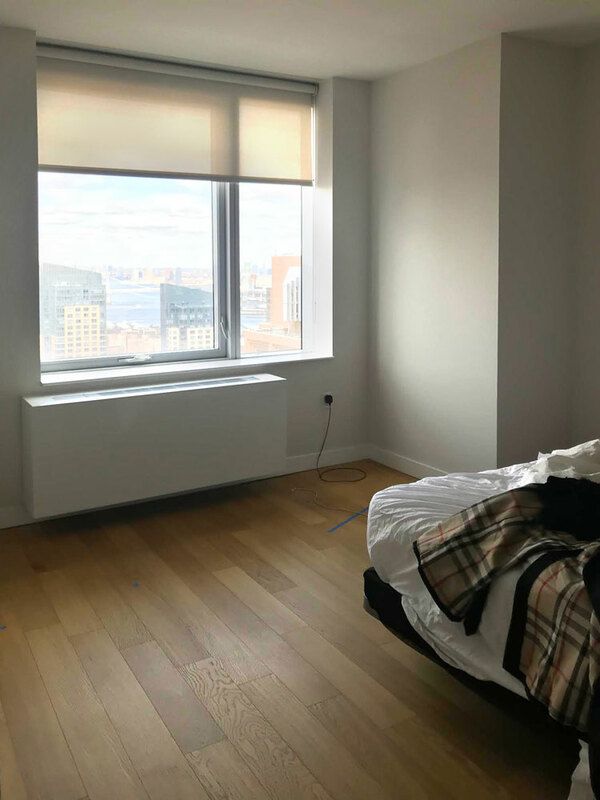 Our new apartment has a clean, modern look with a terrific view of the Manhattan skyline. What I plan to achieve in this ORC is to include the views as a central component of the space; and incorporate some great techniques that will help transform the nice, but “temporary” look of a rented apartment into the warm and inviting look of a home. It’s a personal challenge of small-space living; and bringing a custom look to a rented space. I am really enjoying finding and implementing the solutions I’ll be sharing and hope others in similar positions will get excited to try them out as well! I measure out every anticipated item for the design beforehand. It’s the best way to set yourself up for success. Don’t forget measuring for item heights, layouts for artwork, and rugs. In terms of inspo, I have most of the classic foundation pieces sorted & ordered (more on those next week) but it’s the artwork and accents that are currently throwing me for a loop. I’ve traditionally leaned towards layered pastels, but lately I haven’t been able to keep my eyes off of saturated jewel tones! And it seems that no matter where I look, from Instagram to my favorite home magazines, they’re jumping off the page. 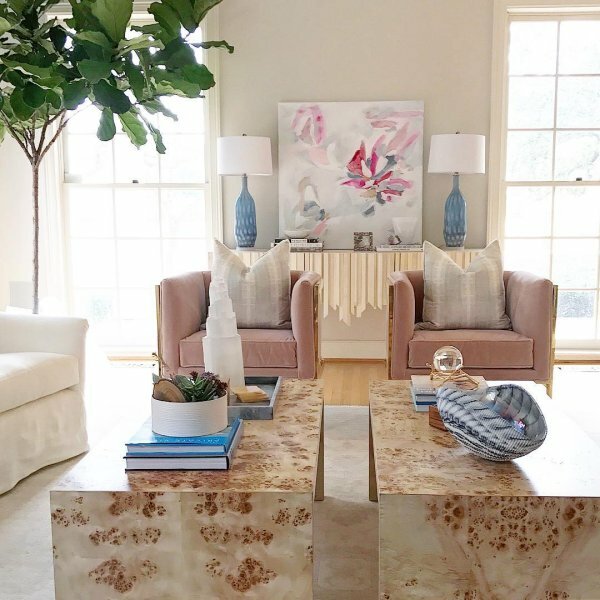 Above, top to bottom: Midwest Living’s lush tablescapes, Anne Hepfer’s recent house tour in House Beautiful (you’ll want to follow her on Insta, she’s so sweet to boot), & decadent Degournay panels. While these saturated hues are a bit of new ground for me personally, I’m pushing my creativity and will make it happen. I’ll have to make some major decisions in the coming days and I hope you’ll come back and weigh in on the progress! For my interim planning, check in on Instagram (@janabekdesign) & Pinterest!